I think of this wine as one of our local rock stars. While I am not a huge fan of rosé, I have been drinking this version on and off for over a decade. 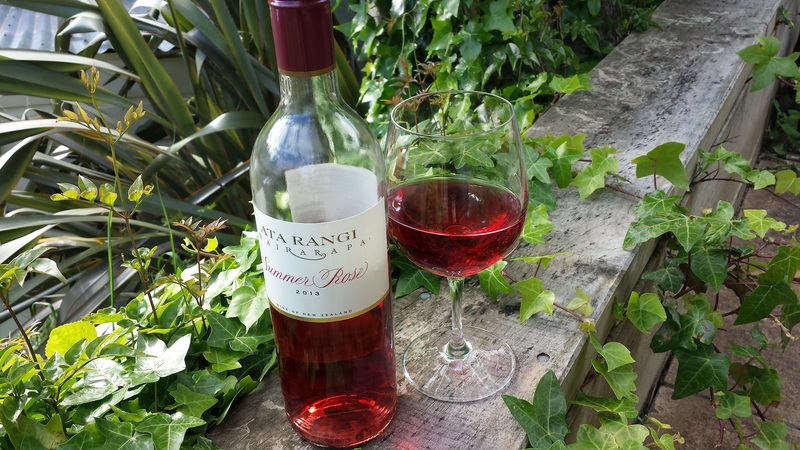 Years ago I remember heading over the hill to Toast Martinborough (the wine festival held each November), after telling my ex “it is never cold over there so dressing light is fine”, then standing inside a chilly marquee at Ata Rangi, wearing a T-shirt and sandals and drinking this wine while freezing southerly gales raged outside! Moving to the present-day, I have survived three intense sessions of cycling training this weekend and was feeling pretty knackered this afternoon. L is heading over to the US for a conference next week, and I’ve been saving this bottle to drink with her before she went, as I know she likes a nice rosé. First off, it sez Wairarapa on the label. Usually it sez Martinborough. Now, I’m a bit picky and to me Wairarapa does not mean the same as Martinborough when it comes to wine provenance. At least to me, anyway. So I had a look at their website and read that the grapes for this wine come from a variety of sites: mostly Merlot from Ata Rangi’s Di Mattina block, with a bit of Mebus Syrah from Kahu Vineyard, both in Martinborough, and a little Pinot Noir from the leased Waiora Block which is about 7kms south. I guess the spread of properties meant the producers had to put the Wairarapa appellation on the bottle. The wine looks really appealing to the eye in the afternoon sun. L sez it is like drinking jewels and rubies. It is the most brilliant pink ruby colour. 13.5%. Lovely light nose of florals and melons. Watermelon and cranberries in the mouth, and hint of red capsicum too. Medium-dry. Doesn’t disappoint. 3.5. 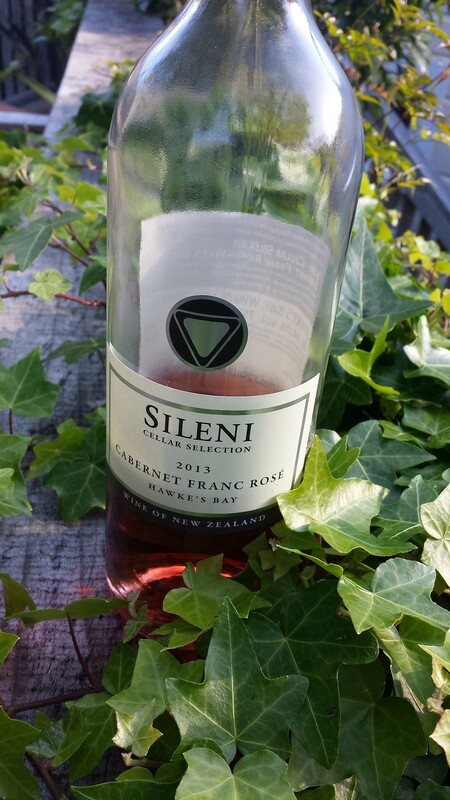 This entry was tagged $$, 13.5%, 2.75, 2013, 3.5, Ata Rangi, Cabernet Franc, Hawkes Bay, Rose, Sileni, Summer Rose, Wairarapa. Bookmark the permalink.